There is no One True Way™ to use an open-source C library. This article provides some guidance on how to use libgit2 with various build/project tools. On posix-type systems, the output is typically ./libgit2.so; on Windows, it’s usually Debug\git2.dll. This also builds libgit2’s unit-test suite; to run it, just run ./libgit2_clar or Debug\libgit2_clar.exe. 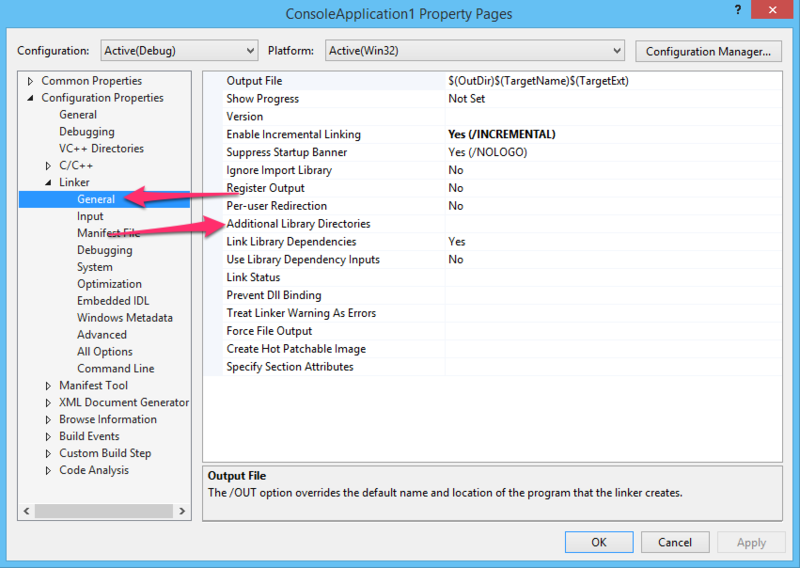 The commands above should be run from within a Visual Studio command prompt; an SDK prompt will not work. The default set of commands above result in a build that’s the same bitness as your command prompt – a command prompt configured for 64-bit cross-compile tools will result in a 64-bit git2.dll. Also note that CMake is generating a Visual Studio solution file and several project files, and by default it chooses the latest version of Visual Studio that’s installed on your machine. If you want to change either of these defaults, you have to specify a “generator” to CMake using the -G flag. Visual Studio 2010 (x86) cmake -G "Visual Studio 10" .. Visual Studio 2010 (amd64) cmake -G "Visual Studio 10 Win64" .. Visual Studio 2012 (x86) cmake -G "Visual Studio 11" .. 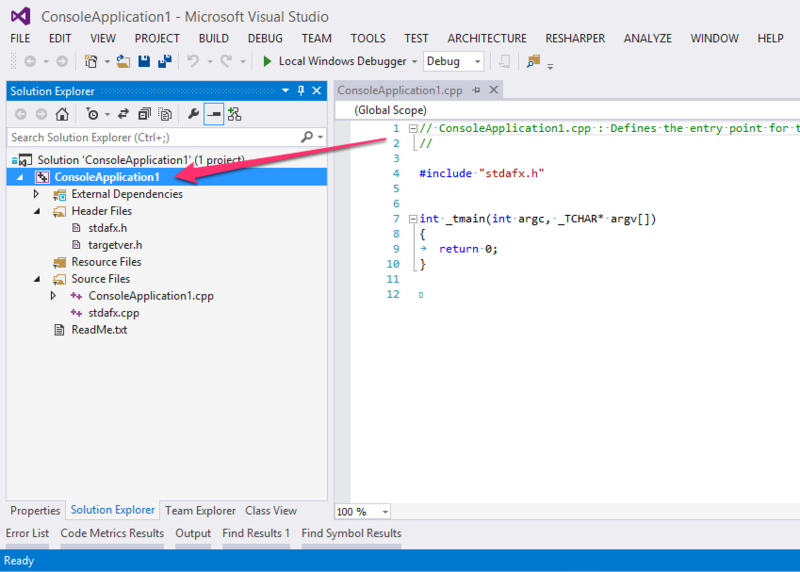 Visual Studio 2012 (amd64) cmake -G "Visual Studio 11 Win64" .. Visual Studio 2013 (x86) cmake -G "Visual Studio 12" .. Visual Studio 2013 (amd64) cmake -G "Visual Studio 12 Win64" ..
BUILD_SHARED_LIBS This defaults to ON, which produces dynamic libraries (DLLs on Windows). Set it to OFF if you want the build to generate static libraries. CMAKE_BUILD_TYPE This selects the build configuration; available options are Debug (the default), Release, and RelWithDebInfo. In the case of Visual Studio and other multi-configuration project systems, this selects the default build configuration. BUILD_CLAR Selects whether the unit-test suite is built. This defaults to ON; set to OFF for a faster build. THREADSAFE Selects whether libgit2 tries to be threadsafe. 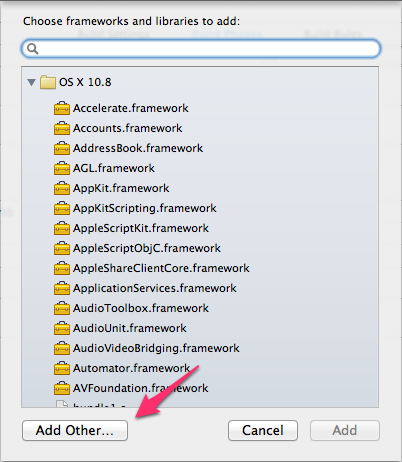 This defaults to ON, unless you know your application will only be single-threaded, it’s recommended you leave it ON. LIBGIT2_FILENAME Sets the basename of the output binary. For example, if this is set to foo, the output will be something like foo.dll or foo.so. This option is useful to know what version of libgit2 was built, if your build system doesn’t embed that information into the binary. STDCALL (MSVC Only) By default, libgit2 builds with the cdecl calling convention. 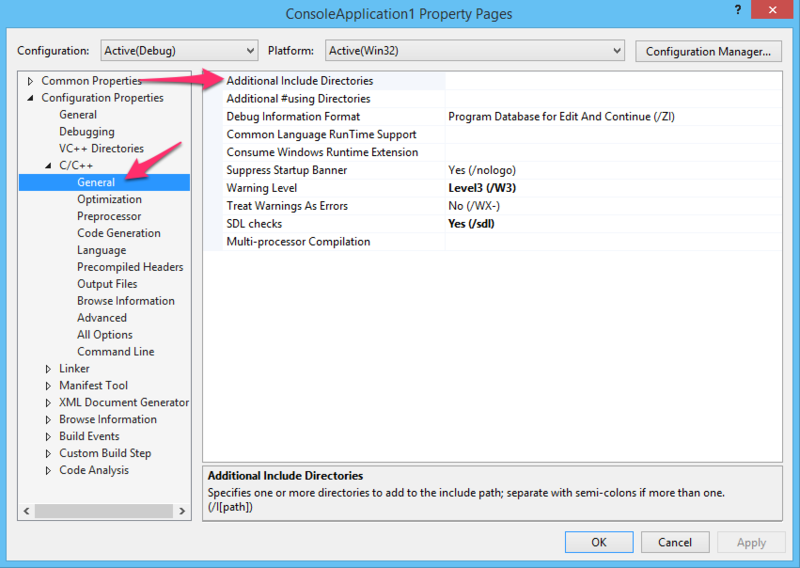 If you’re working with Win32 or the CLR, set this to ON to build with the stdcall convention. Take a look at the CMakeLists.txt file for more information. Once you have a build, you probably want to use it from within your application. You’ll need to include git2.h, and link to the binaries you built previously. 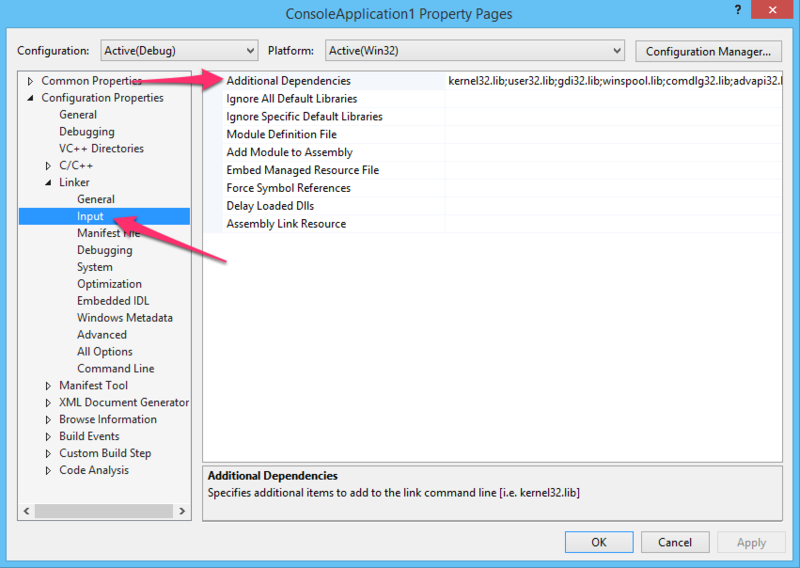 Your Visual Studio project will need to know where to find the libgit2 headers and link libraries. Open up the project settings by clicking on the project in the Solution Explorer, and selecting Properties. Add C:\path\to\libgit2\include to “Additional Include Directories” under “C/C++ > General”. The linker will need to know where to find the git2.lib file. Add C:\path\to\libgit2\build\Debug to “Linker > General > Additional Library Directories”. You may want to configure this path differently for a Release build. If you built libgit2 as a static library, you’re done! If it’s a DLL, you’ll have to make sure that git2.dll gets into the same directory as your output EXE file. You can do this with a post-build script (check “Build Events”), or by including the git2.vcxproj file in your solution, and changing its output directory to match where the rest of your binaries go. NOTE: It’s highly recommended that you build libgit2 as a static library for Xcode projects. This simplifies distribution significantly, as the resolution of dynamic libraries at runtime can be extremely problematic. If you’re working from a source distribution, the include path to add is /path/to/libgit2/include. You can add this to the target or the entire project. Browse to the location where the libgit2 binaries are located (if you’re working from source, this is /path/to/libgit2/build), select the libgit2.a file (or libgit2.dylib if you built a dynamic library), and click OK. If you built libgit2 as a static library (again, this is highly recommended), you’ll need to also add all of these libraries to the list. They should all be available with the system, and easy to find with the search interface. If you’re building statically, the output is typically a libgit2.a file. Dynamically-linked outputs are usually libgit2.so on posix, or libgit2.dylib on OS X. Using these files is dependent on your application’s project system. If you installed the library to a standard system location, you can use pkg-config to get the right flags to pass to the compiler. In the same vein, using GNU Autotools, pkg-config can help you there.